NASSAU, The Bahamas - “The Bahamas government through its Ministry of Youth, Sports and Culture has annually sought to recognize the outstanding contributions of youth in all facets since the establishment of the National Youth Awards programme more than 30 years ago,” said Minister of Youth, Sports and Culture the Hon. 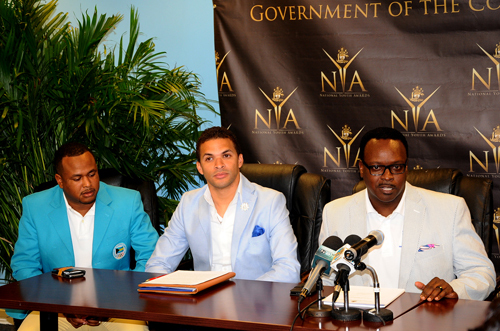 Daniel Johnson during a press conference to officially launch the programme with the Ministry’s new website (www.celebrateyouthbahamas.org), September 10. Young persons are now able to submit online applications for various awards through the website. The website allows for online participation of youth across the country in various programmes, including registration for initiatives offered by the Department of Youth. The National Youth Awards programme, Minister Johnson said, has developed over the years and currently the scheme recognizes youth in the areas of entrepreneurship, arts and culture, leadership, personal triumph, the environment, volunteerism in the community, agriculture, education and religious pursuits. Some of the nation’s brightest have received these awards, as well as the Governor-General’s Youth Leaders Award, The Prime Minister’s Cup, and the Director of Youth Award of Achievement. Youth 16 thru 26 years old can submit nomination forms for the upcoming round of the National Youth Awards, and also upload necessary attachments such as photographs and references to the website: the deadline is Friday, September 25, at midnight.